Brush the bottom of a 1/2 sheet pan with melted butter and place two sheets of the phyllo on the pan, brush evenly with melted butter. 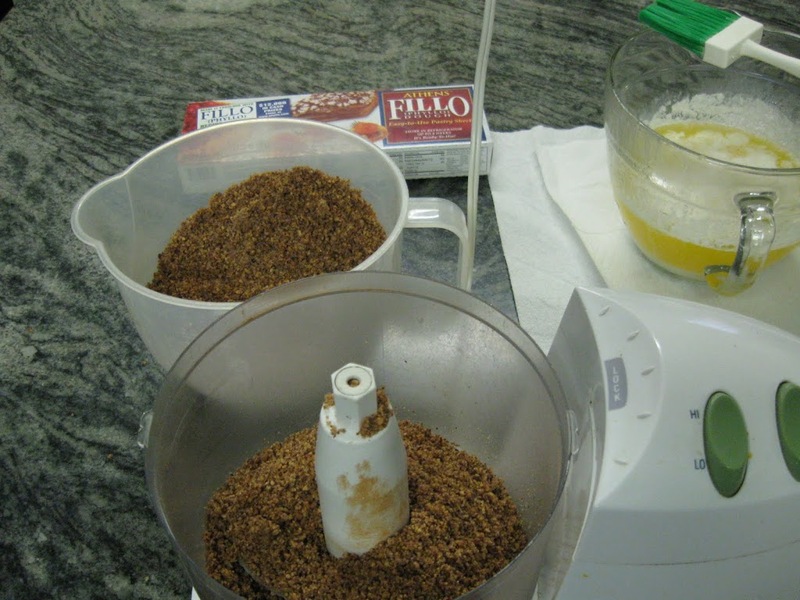 Repeat this step 5 times then Sprinkle 1/3 of the (set aside) pecan mixture evenly on top of the phyllo. Begin layering the phyllo again brushing each sheet with butter and repeat 3 times then Sprinkle 1/3 of the pecan mixture evenly on top of the phyllo. Begin layering the phyllo again brushing each sheet with butter and repeat 3 times then Sprinkle 1/3 of the pecan mixture evenly on top of the phyllo. Begin layering all the remaining phyllo sheets on top. Trim away any excess dough from around the edge of the pan. 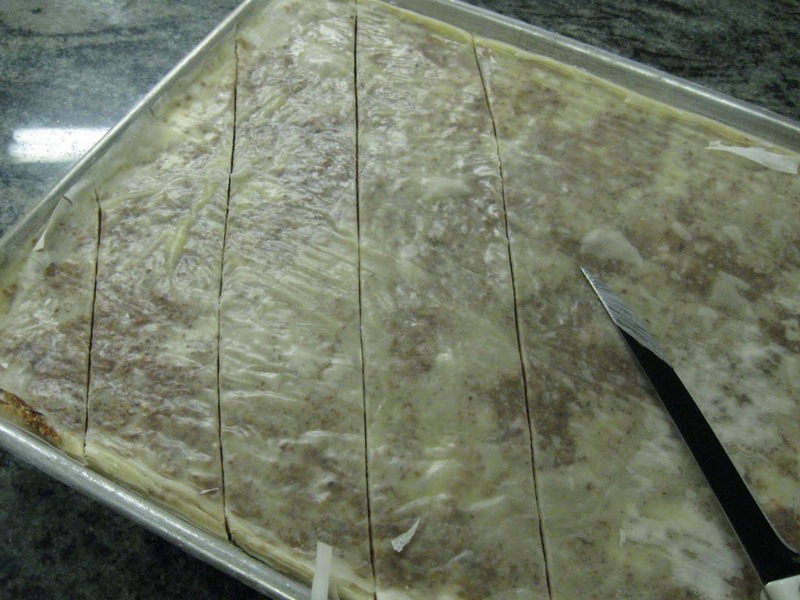 Then make long angle knife slices into the uncooked Baklava. Then cut at the opposite angle creating a diamond shape. 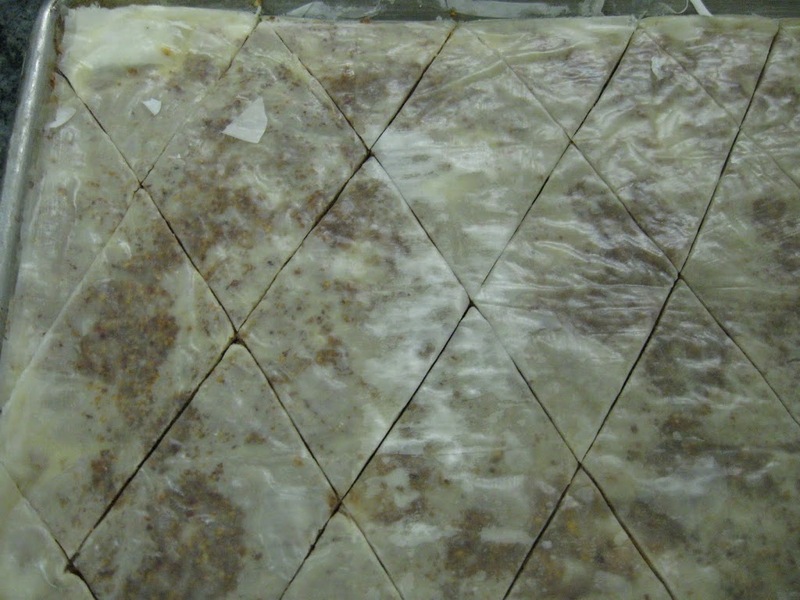 Then Bake the Baklava in a preheated 325 degree oven for approximately 45 minutes until golden brown. While the Baklava is baking, prepare the pour over syrup. Bring to a boil, reduce heat, and simmer uncovered for approximately 15 minutes until syrup is reduced to a thick syrup consistency. 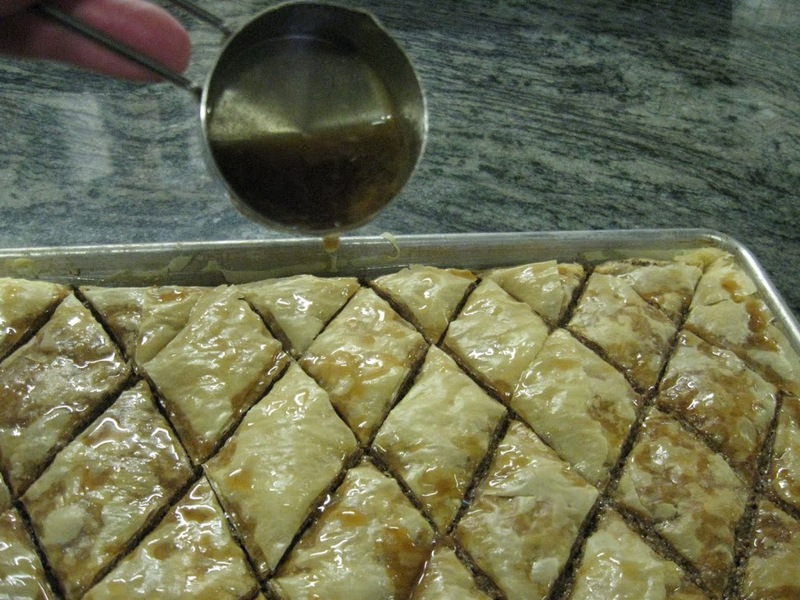 Pour syrup evenly over Baklava as soon as it comes out of the oven. Let cool completely. 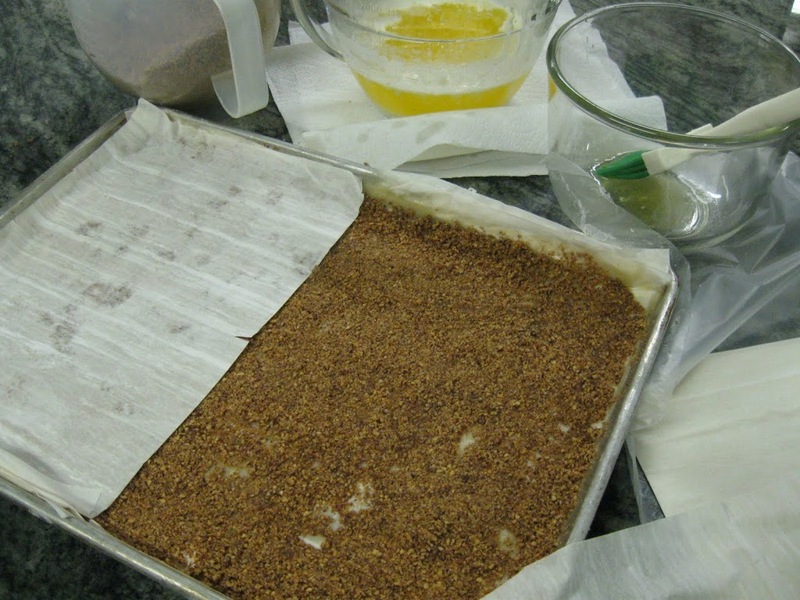 Transfer to wax paper lined container for storage. Store airtight and refrigerated for up to two weeks.